Everytime new model runs come in, they keep warming up. Below is the GFS model for snowfall totals and then on the right side what type of precipitation will be falling every 6 hours from Tuesday afternoon to Wednesday afternoon. As you can see warm air pushes in and we switch to rain across most of Central Ohio through the majority of the overnight hours. Another thing you will notice is that band of pink running across Western and Northern Ohio. The areas that see the sleet and freezing rain could easily deal with power outages. Getting ice for a few hours will easily weigh down any power lines. That is the bigger story here for Ohio, not the snow. 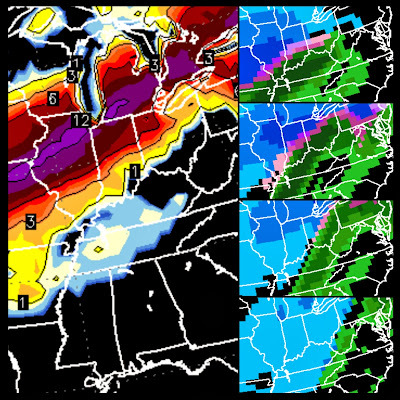 Ohio may actually not get very much snow unless you live in the far Northwestern portion. 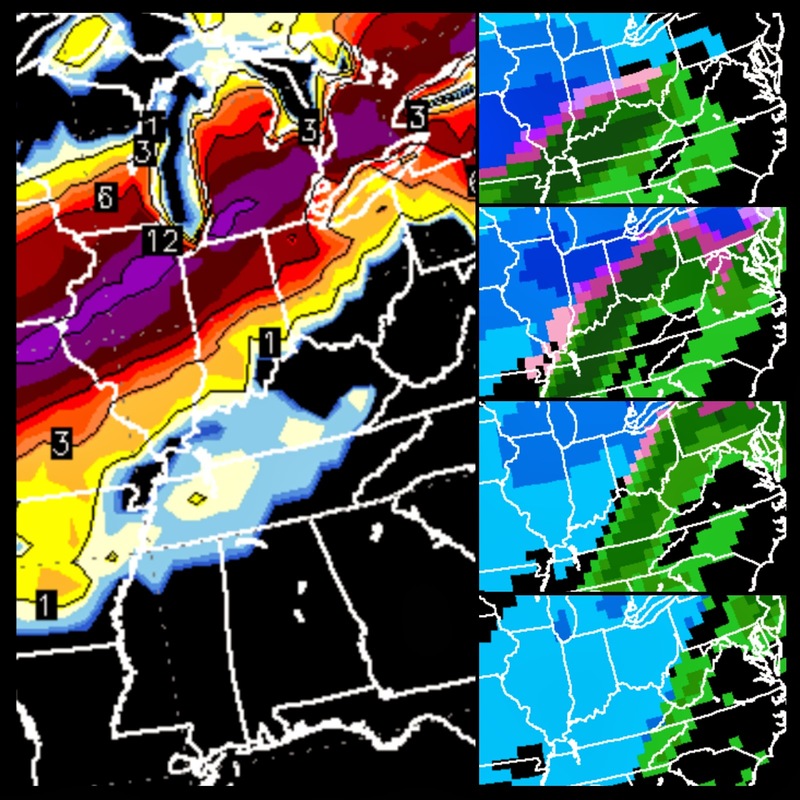 For Central Ohio we will be lucky to see a few inches of snow next Tuesday and Wednesday. That is the long term forecast but for the short term, a little bit of snow for later today and then we warm up our temperatures switching to rain on and off for most of Saturday. So similar by the fashion of warming up to rain, but this first system will be light and next week packs a much stronger punch of moisture. At this point my concern with next week will be power outages where they see several hours of ice, and with so much rain, flooding will be a big problem considering that all of the rivers are frozen over. I will keep you updated with posts because the system is still moving around some and it is not set in stone. So check back and have a good one!